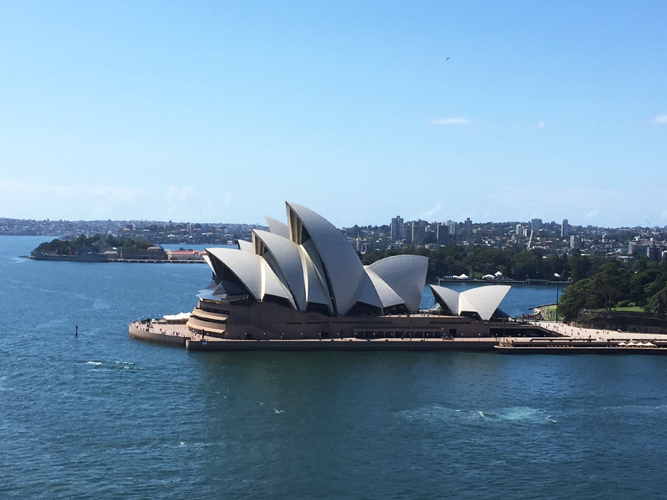 I’ve never been to Sydney before – I’d never even left my home state of Queensland after living there for nineteen years! Because of that, when I had the opportunity to have a quick stop-over in Sydney after two weeks of placement in rural New South Wales, I jumped at the chance! 3:00 PM: Tarryn and I arrived in Sydney from the five hour drive back from Cootamundra, NSW. Instantly I was amazed at just how busy it was everywhere we drove! Tarryn lives near Bondi Beach, so we passed Bondi Junction on the way and I had my first glimpse of the harbour bridge! It was definitely closer to the coast than I imagined. As we drove past Bondi, Tarryn insisted it wasn’t busy but I definitely thought it was! The suburbs were so packed in with tiny, one lane roads and so many cars parked on the side of the road! The houses were beautiful, as you’d expect from homes in a coastal Sydney suburb. 4:30 PM: We head down to go for a swim at the one and only Bondi Beach. We locate the red and yellow flags (which took a long time) and stake out a spot near them before hitting the water – which was really, really cold for a summer day! The waves were huge compared to what I’m used to up where the Great Barrier Reef blocks most of the waves. I also hardly swim in the ocean as summer is stinger season so I was surprised to see that “swimming” in Bondi Beach was essentially just a bunch of people standing around facing the waves and jumping over them/diving under them as they roll in. Pretty surreal to look at if you ask me! We finished our swimming/jumping and returned to our spot to soak up some sun (unfortunate for someone who burns, not tans) before dusting off the sand and heading back for dinner and bed. 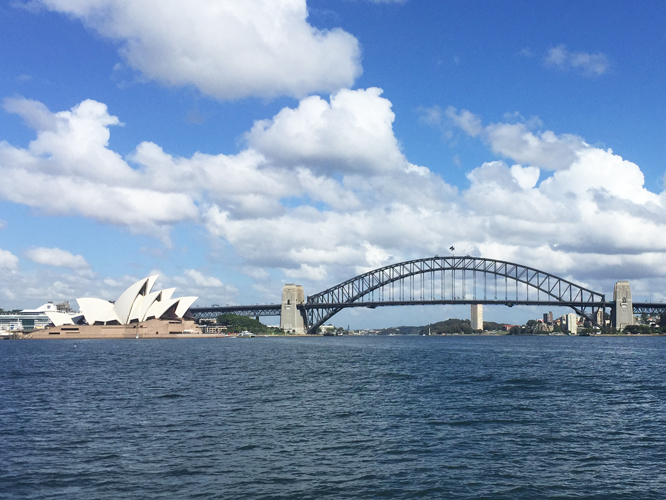 9:00 AM: We arrived at Rose Bay Ferry Terminal to get a full view of the harbour as we made our way to Circular Quay. 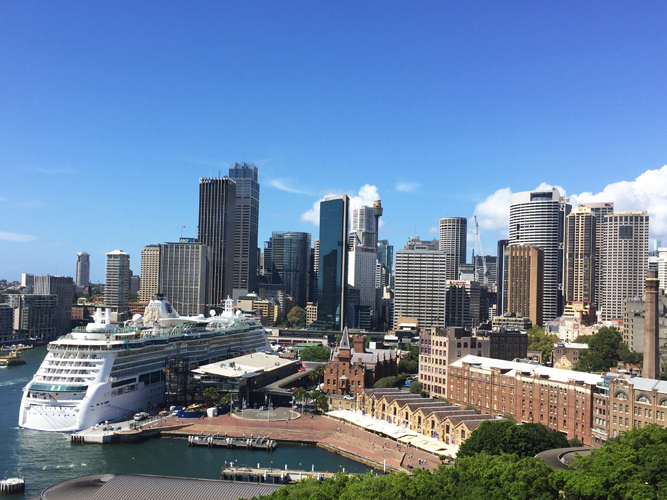 As we arrived at Circular Quay, we got an amazing view of the Opera House to our left and a massive cruise ship to our right! 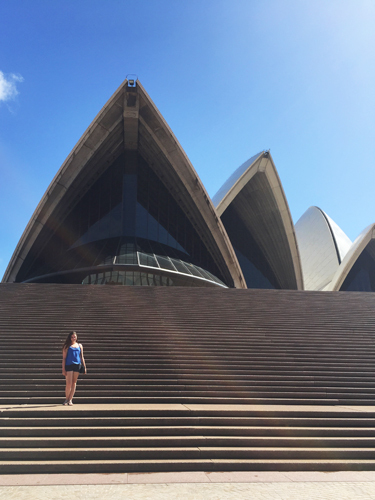 We hopped off the ferry, figured out how the hell to pay for our tickets and began walking across to the Opera House, where I got a photo on the steps. 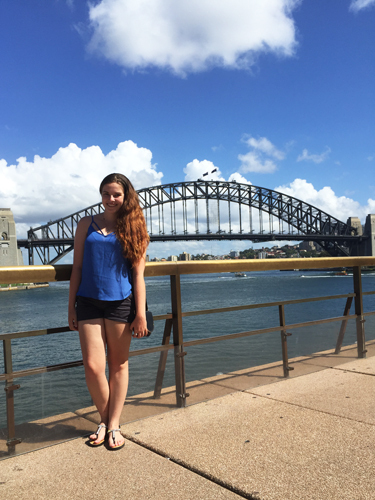 10:00 AM: We decided to head over to The Rocks and walk over to the first pylon of the Harbour Bridge. It was a long walk in the heat and I ended up pretty dehydrated, but we made it and the view was incredible! By this time, I’d developed a bit of a nasty blister on my foot. 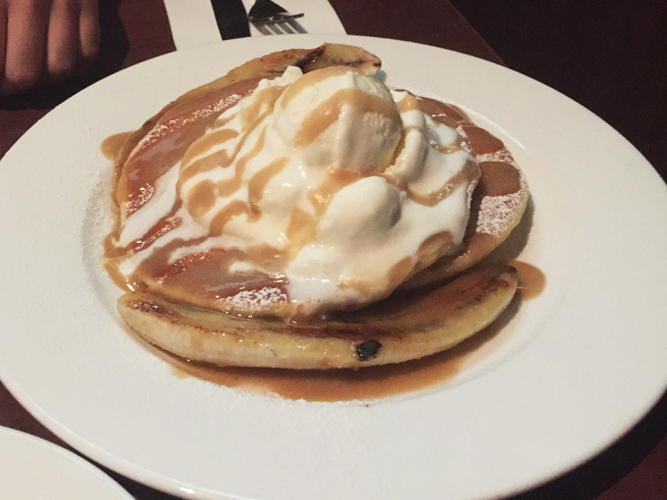 11:00 PM: We headed off the bridge and back down to The Rocks, where Tarryn took me to Pancakes On The Rocks where I drank about 5 glasses of water and we shared a Bananarama – two buttermilk pancakes topped with ice cream and butterscotch sauce, served with grilled banana. As I was feeling a bit sick, I could only get through half a pancake! It wasn’t too bad though, as the dish was only $12.95 split between two of us. 12:30 PM: We left Pancakes On The Rocks to head into the main part of Sydney city, where on the way I bought some band-aids to help my blister. We walked and walked and walked, mostly uphill and in the sun, before arriving at Martin Place. It was so surreal to see the Lindt Cafe, where the seige had happened only two months prior. 1:30 PM: We were going to check out more of the city, but both of us were exhausted already so we jumped on a train from Martin Place to Kings Cross. The trains in Sydney have two storeys! At Kings Cross, we walked down to Messina, a beautiful gelato place where we both ordered off the specials menu. Tarryn ordered a peanut butter-heavy one, whereas I ordered a salted caramel and hazelnut gelato! It was so delicious and surprisingly cheap considering the quality of Messina compared to other gelato places I’ve visited. 2:30 PM: We walked back to Kings Cross station and caught the train again to Bondi Junction. We walked around Westfield for a bit before heading back to Tarryn’s place. 4:00 PM: Tarryn drove me to Sydney Domestic Airport, where I figured out how to use the self-check-in machines and self-bag-drops, while thanking my lucky stars that my suitcase was 0.2kg under the weight limit. I navigated the really long security line and eventually found my gate, where I sat and waited (just in case I didn’t get super lost in the huge terminal) before spotting an ex-Big Brother housemate on my flight and boarding my plane home. 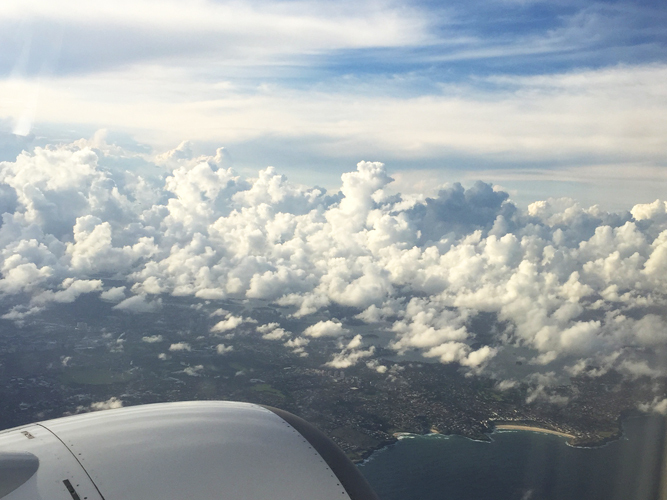 I really enjoyed my day in Sydney – I think I covered all the bases that I could in such a short timeslot! Did I miss anything, Sydney locals? 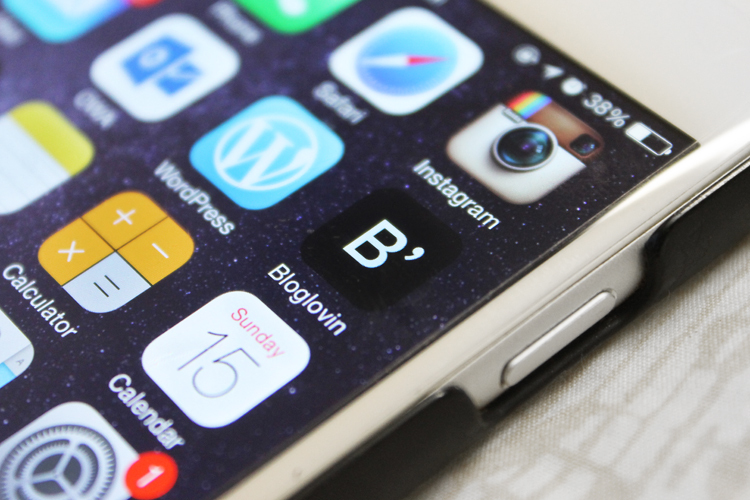 Leave a comment and let me know so I can start my must-do list for next time!